3. The Lovers' Walk begins at the departure point for ferries, boats and hydrofoils to a stretch of the lungolago past a small harbour area to a line of lakeside restaurants, pretty shops and gelaterias. 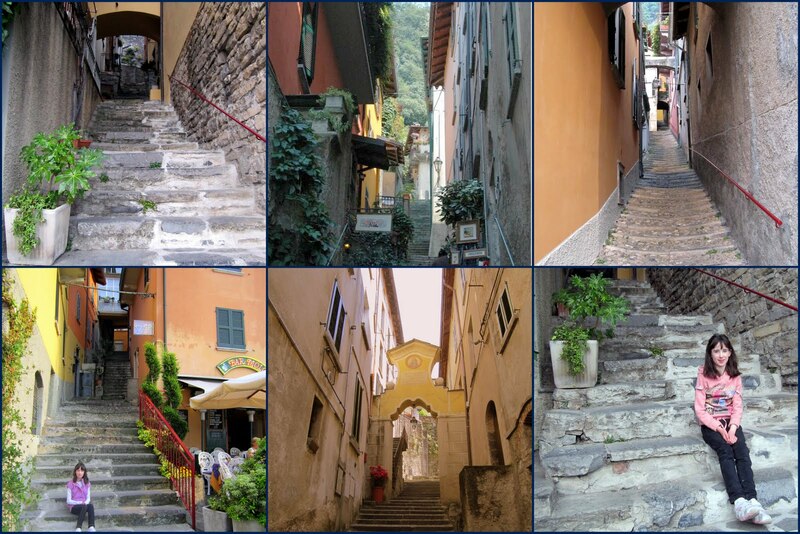 It reminded me of the Via dell’Amore in the Cinque Terre - a scenic walkway which clings to the rocks and it is flat and comfortable to stroll along. It is lit up beautifully at night. On the waterfront is a lovely promenade with hanging willows, cypress trees and wood-planked pedestrian bridges. 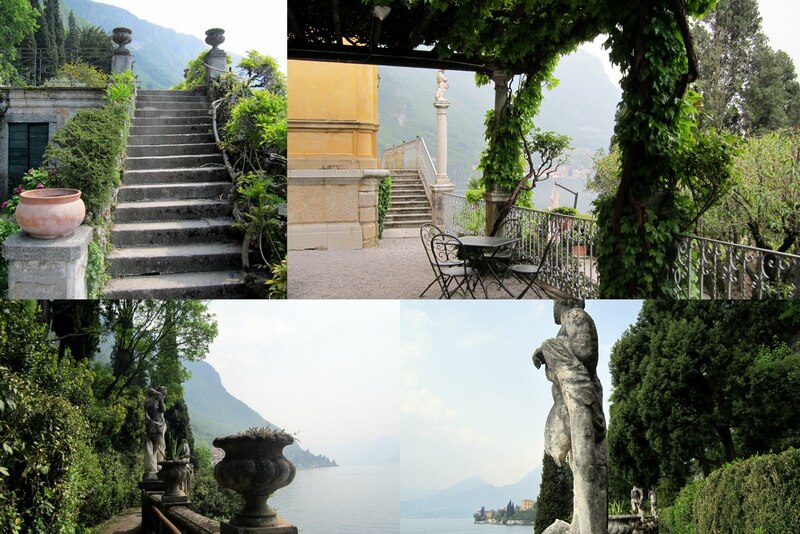 4.Villa Cipressi is situated in an enchanting position on the shores of Lake Como with a beautiful and rich botanical garden containing towering cypress trees, flowering azaleas, rhododendron, magnolias and wisteria. The Villa Cipressi is converted into a hotel and looks like a gorgeous place to stay or have a wedding reception. The botanical pathway winds through centuries-old gardens with five terraces of luxuriant vegetation that reach down to the lake. Fine sculptures are scattered throughout the manicured compact gardens; it is much easier to get around than the gardens of Villa Monastero. From the lovely restaurant right on the lake shore you have heavenly views of the lake. 6. Churches. The large Romanesque Parish Church of San Giorgio in the main piazza has three naves and twin aisles and was consecrated in 1313. Its façade is embellished by a large fresco portraying Saint Christopher, to bring luck to passing travellers. The most precious work of art inside is the coloured stone Deposition of Christ. 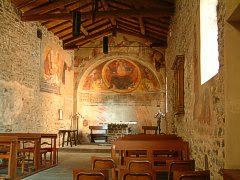 There are also 14th and 15th-century frescoes and polyptychs by Como-based artists. The church was restored in 1957. On Good Friday there was a procession leading from this church with stops at various Stations of the Cross dotted around the town. The impressive belltower chimes on the hour and half hour (but not during the night)! The Oratorio di San Giovanni Battista is tucked away in the corner of the old town centre. This tenth-century church is the oldest in Varenna and one of the first to be erected along the shores of Lake Como. The building is well-preserved, typically Romanic in style, although the paintings and frescoes that embellish it are from the fifteenth century. It is always open and worth having a look inside. The Chiesa Santa Maria delle Grazie is a 17th century church overlooking the main piazza. It has a Baroque interior, a wooden altar, polychrome wooden statues and paintings from the 16th century. Annamaria Rivolta and her daughter Francesca Porro have beautiful pastel watercolour paintings and give painting lessons too. You can find them at Contrada Pirelli, 6. 8. Exploring Varenna's many quaint narrow lanes and alleyways. 10. Ferry and boat trips from Varenna to other towns on the centre lake make Varenna a perfect home base for visiting the entire lake. When taking the ferry back from a trip to Bellagio you’ll have great views of the town, wedged on a promontory under the mountains. Along with the brightly painted houses, you can admire the parish church and the castle at the top of the hill. As the town sits on the eastern side of the lake, the light is spectacular at sunset and covers everything with a warm golden glow. 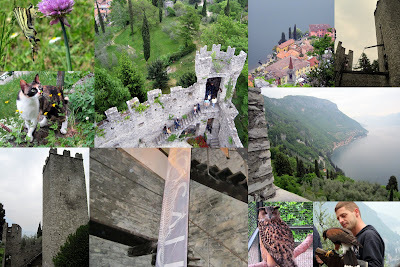 We spent the first three days of our week in Varenna exploring all there was to see in the town and then gave Bellagio, Menaggio, Bellano and Tremezzo (home of Villa Carlotta) a day of their own. Varenna is the perfect place to slow down, to relax and breathe more deeply; a place where the beauty of the scenery takes centre stage. 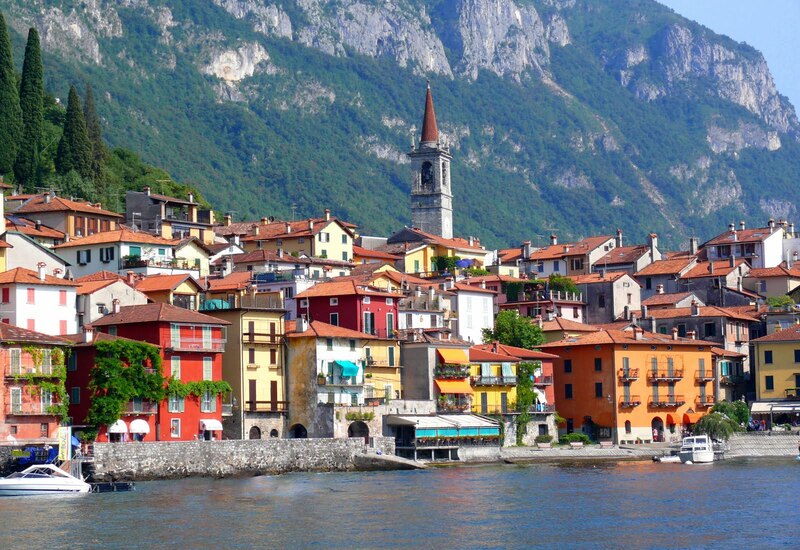 Have you been to Varenna? What would you include as a must-see here? Carissima Nora, thank you very much for your fabulous post! I've devenitely fallen in love with Varenna! I'd like to visit it next Easter. Thank you Tatiana! I hope to be back in Varenna next Easter too. It is a lovely time of the year to visit with pleasant weather and all the flowers in bloom. I've never been, but now I really want to go! Thank you for all the great info. Thank you Janie! 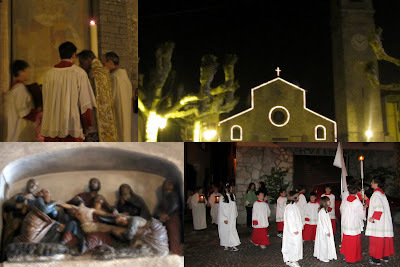 Your posts on Lucca, Garfagnana and Arezzo make me want to go there!